Bart Lindstrom hates making portraits, but he loves making art. That's what he tells every client. "We are each trying to do different things. You are trying to record a moment in time, while I am trying to make an exquisite work of art that will endure for ages. But take hope, because when these two things overlap, magic happens." Bart encourages his clients, who often become friends, to go beyond a simple likeness. To patiently search for expressions, unique lighting, and unusual poses, that stirs in their minds a special moment, an evocative memory and feeling of that person. That is why Bart reviews drawing and photo ideas with his subjects. He walks with them step by step to create a symbol of their greatest treasure, the love they share with each other. "Each painting should be more than just a pretty face. It should be an echo of an enduring love and of shared lives. It should be a love story. A poem that is recited each time the painting is glanced." "Artists are very fortunate to be infected with this crazy desire to create art," he says. "We are the people who encourage others to see the beauty around us. We try to slow down the world so we can point out the sunsets, flowers, and miracles of everyday life." 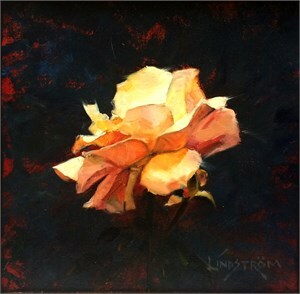 Born in Riverside, California, after graduation from the University of Southern California, Lindstrom worked for an advertising firm for a few years. 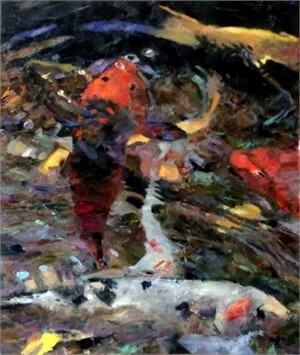 However, additional studies at the Art Center in Pasadena, convinced him to pursue a career in painting. His primary medium is oil. 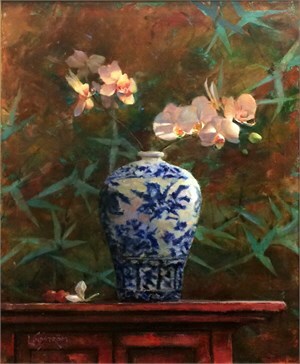 Lindstrom is a nationally-recognized artist, conference speaker, former board member of the American Society of Portrait Artists, and participant in the founding meeting of the Portrait Society of America. His paintings hang in state capitals and federal courtrooms. Among his prominent collectors are United States Senators William Armstrong and Jesse Helms, Tennessee Governor Ned McWhorter, Roots author Alex Haley, former Israeli prime minister Benjamin Netanyahu, professional golfer Nancy Lopez, former Vice President Dan Quayle, and former Secretary of State Colin Powell. 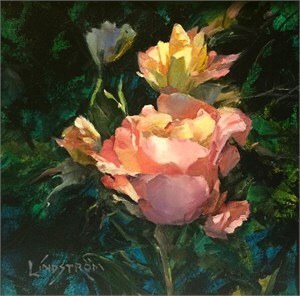 Lindstrom's works are also featured in many private and corporate collections, and he has exhibited in solo and group shows in galleries and museums across the United States and Canada. 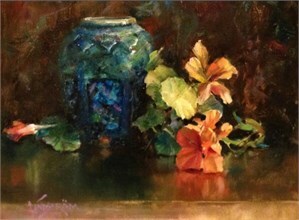 He has been featured in various publications including Southwest Art, Prints Magazine, Art Voice/South, American Artist, and International Artist.